RUSH: Mark, you’re next in Louisville. How are you doing, sir? CALLER: Rush, it’s an honor to speak with you. CALLER: I’m calling about this million-dollar tax bracket. CALLER: Yeah. For someone like me who owns stock options in a small company, the million-dollar tax bracket’s very punitive because I may only make a million dollars or more than a million dollars one time in my career. The company I’m with now, I’ve been with for 15 years, and every day I work hard to help the company grow and make the company more valuable. Someday, we might get acquired. You know, at that point in time I would cash out of my options. I might get a couple million dollars. But that’s just gonna happen one time. So to me, you know, it’s not like I make a million dollars every year. That’s the way they want it to sound. You know, millionaires make a million dollars every year. It’s just a one-time deal. So it just seems unfair to me that, you know, I would have to pay a higher tax rate for that type of, you know, one-time event. RUSH: It is unfair. It’s designed to be unfair in order to make everybody else think you’re getting soaked. That’s what makes it fair: That you’re getting soaked. That’s exactly right. And you’re supposed to bite the bullet and pay for it ’cause you don’t need as much of that million as you otherwise would have if you got the tax rate reduction. CALLER: (laughing) Well, I agree. RUSH: Let me ask you a question. Mark, let me ask you a question. 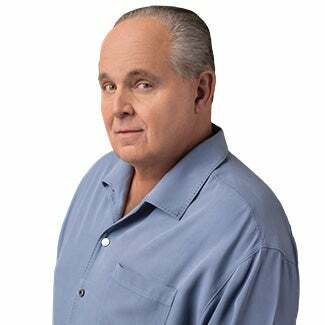 RUSH: You’re talking here… You’ve got a very, very large audience listening to you. And you’re talking about the possibility of earning, you know, $2 million take if circumstances happen right. And you’re suggesting that you would like to keep as much of that as you can, and certainly you don’t want a higher rate than anybody else. Do you feel nervous admitting this in public? Do you feel like you’re worried that people are gonna think you’re greedy, or do you have no problem admitting this? CALLER: No, not at all. I mean, I have three kids. You know, the difference between 45% and 40%, or 35% and 40%, I mean, it could be college tuition for one of my children. So, I mean, I don’t feel guilty about wanting that. RUSH: Well, they want you to. CALLER: Sure. Sure. But, you know, we’ve been… In the past 15 years, you know, I’ve helped create jobs by growing our company. We’ve hired new software developers, new engineers. You know, so we’re giving people employment that may otherwise not be employed or, you know, college graduates that are coming out of engineering school. RUSH: Okay. Well, good. This has been one of my points is that people like you are among the group of Americans that hire other Americans. RUSH: But the picture that’s painted is that people like you have a stash of money in the bank that you don’t use, and that you don’t want to share it with your fellow man. RUSH: You don’t want to give it away. And it’s not right. So since you have it, you should part with it. CALLER: Right. Well, in the company, you know, the leadership team at our company, you know, the corporate tax rate dropping to, you know, 20% or 15 or whatever, it’s huge. And we’ve already decided if it does that, we will hire more people. We’ll invest more into the company. RUSH: Now, wait a minute. I want you to answer a question. CALLER: We’ll give people raises if we get that tax rate. RUSH: If you get that rate reduction on the corporate side, you decided you’re gonna hire more people. Why are going to hire more people? Tell the audience. Why are you gonna hire more people? CALLER: It’s huge! We have a lot more profitability and we have a lot of more money to invest back into the company. You know, if we don’t that tax break, cash flow can be tight. RUSH: Right. But you’re gonna hire more people because you’ve got more work to be done because you want to grow the business, right? CALLER: That’s exactly right. Exactly right. Yes. RUSH: Are there some people who work for you now — if that rate reduction happens — that warrant a raise? Would you use some of money to raise people currently who deserve it? CALLER: We’ve already talked about it. Every employee will get a raise if that happens. RUSH: Right. So you’re just not gonna hoard it and go buy a bunch of company cars or a company jet? CALLER: You know, I guess they just assume the worst in human nature. I don’t know. But we definitely are. We’re gonna do that if the Trump tax plan goes through. He have would already discussed it. You know, and then the whole punitive tax — and I have the same issue with capital gains, you know, on this whole, you know, stock-option payout deal. You’ve got like Warren Buffett… You know, nothing against Warren Buffett, but he pays capital gains on all his income and I pay as ordinary income — and I still pay as ordinary income when we cash out. You know, when those options cash out. CALLER: So there’s so much unfair about the tax code. It’s so antiquated, and it’s not geared toward companies like us. RUSH: Well, that’s another thing. There’s the rich, and then there are the wealthy, and the wealthy are people like you’re talking about: Buffett and Gates. And they don’t have what we call ordinary income. Nobody’s paying them anything. The income… They’ve got their wealth, and it’s there as a pool, and they don’t pay any tax on that. There’s no wealth tax in this country yet. What they pay tax on is whatever they have invested in. But then only if they sell it. Only if they sell it and realize a profit do they pay the capital gain rate on that. So raising taxes on the rich? A lot of people say, “Yeah, we’re gonna go after the Gateses and the Buffetts and…” No, you’re not. That’s not who you’re ensnaring with this. They’re getting guys like Mark here in Louisville. Anyway, Mark, I appreciate the call. Thank you much.